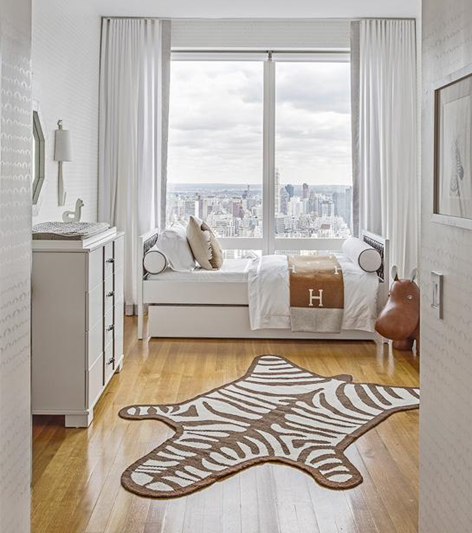 When using animal print in a living room, bedroom, or other area of your home, keep in mind that you’ll want to start small scale, and use it as a striking accent instead of a main feature. This means avoid large-scale pieces like sofas. But if you do choose something of this scale, make sure that it is not the focal point. 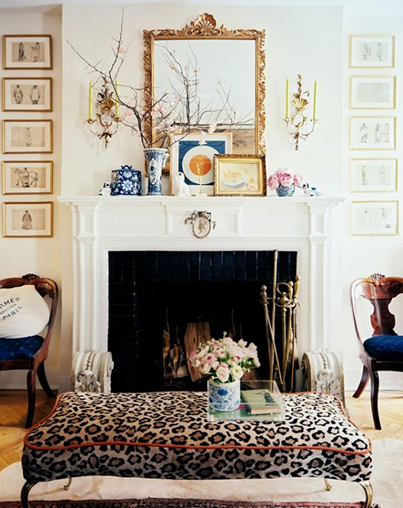 For example, while a rug is large, it will be hidden underneath other objects that draw the attention away from it. 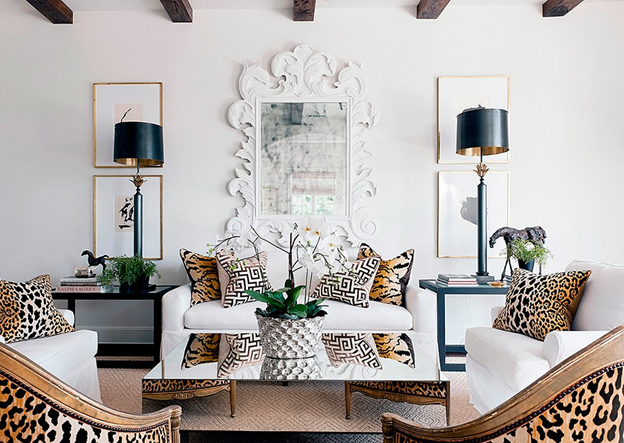 Furthermore, accent pillows and small-scale items are free reign, providing the perfect sized opportunity to use animal print.